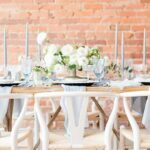 Our North Georgia venue was a perfect fit for this Valentine’s Day Wedding shoot! 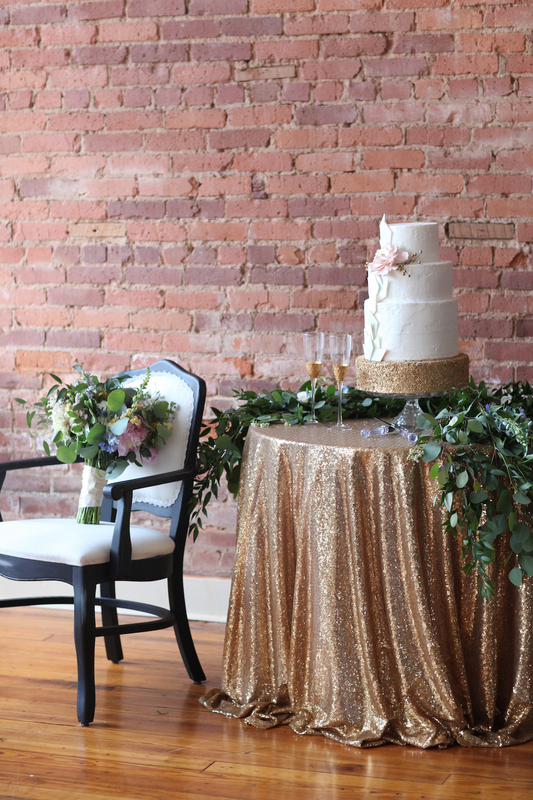 Since we’re a vintage industrial wedding venue in the suburbs of Atlanta, The Corner District has all the charm of a city wedding venue, but with the quaint ambiance of a small town. 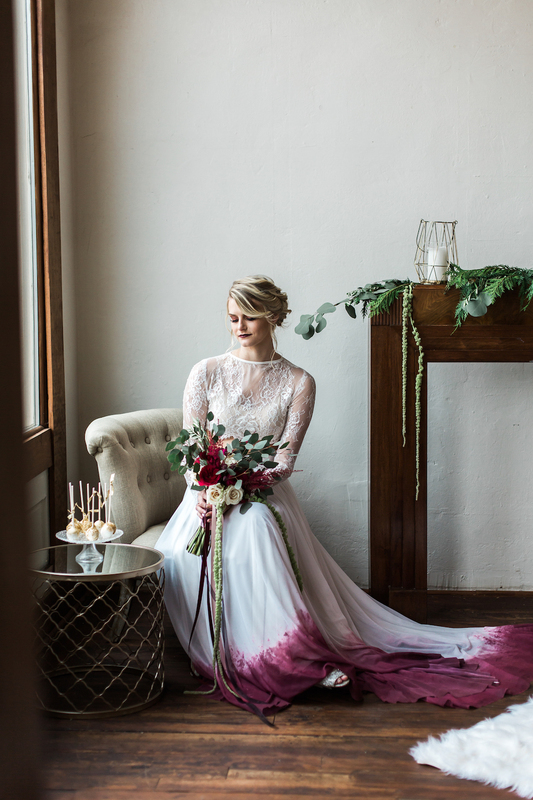 Our venue is known and loved for its speakeasy-esque parlor with exposed brick and plaster walls, original hardwood floors and ceilings, and the most dreamy lighting thanks to the huge windows in the front of the building and multiple chandeliers glimmering above. 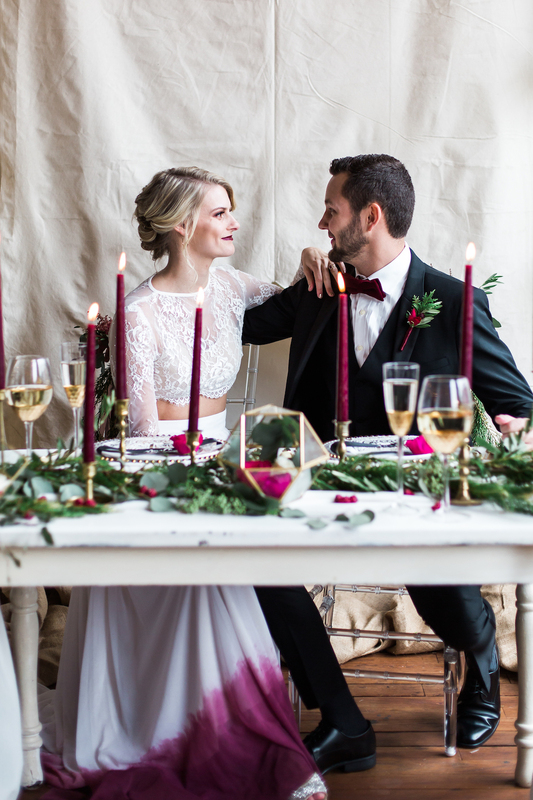 The lighting is truly what set the mood for this Valentines Day inspiration shoot, and Marc & Anna Photo and Film captured the details beautifully. 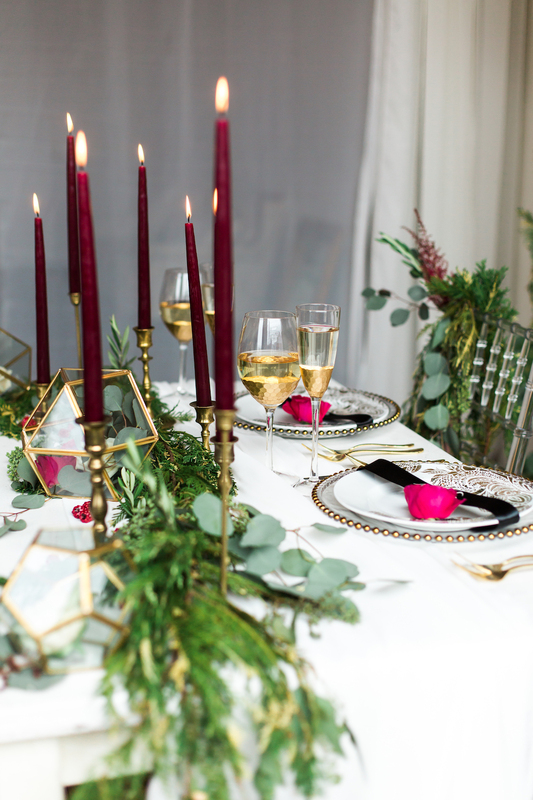 This inspiration shoot was designed by wedding planner and floral designer, Ivy Marie Weddings, who dreamt up a unique take on this beloved couple’s holiday. 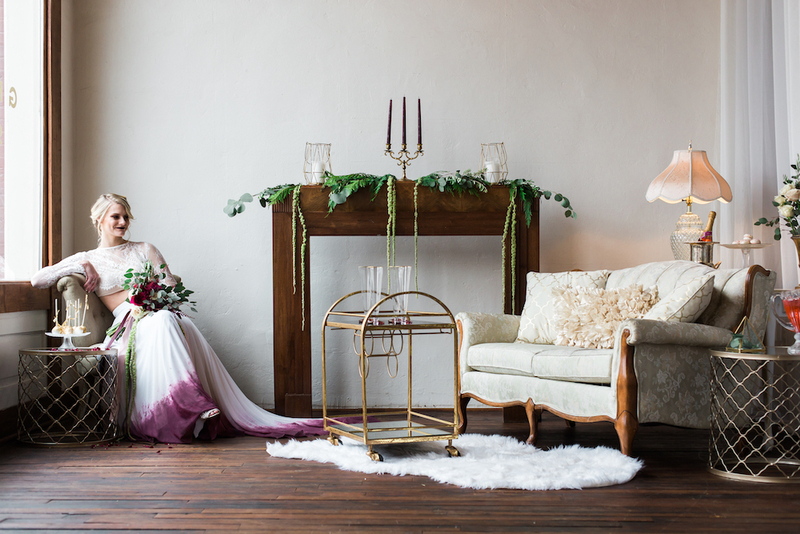 Favorite elements of this shoot included a moody palette of black, deep raspberry, green and gold, a two-piece dip dyed wedding dress from Sweet Caroline Styles, an intimately styled setting and plenty of bling from Trumpet & Horn and Melànie D.
For brides wanting to recreate this look, don’t be afraid to go bold! 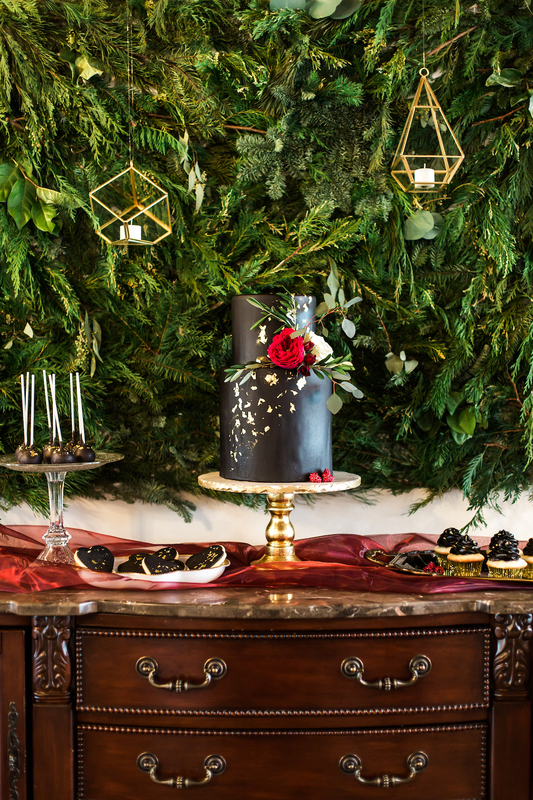 From a dark red lip to a crop top wedding dress, from black iced desserts to blood red candles, to make a statement that stands out – go bold! 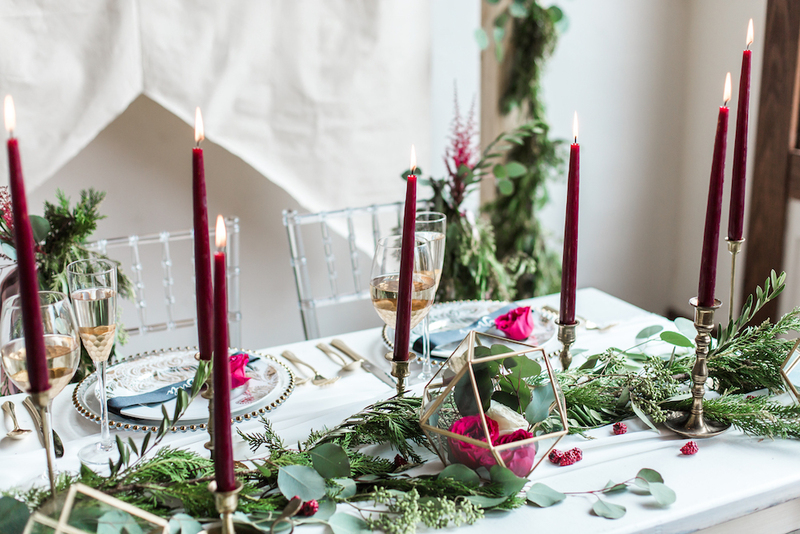 Pair moody details with refined details, such as classic pops of gold, lots of greenery, and neutrals to allow your color palette to shine. 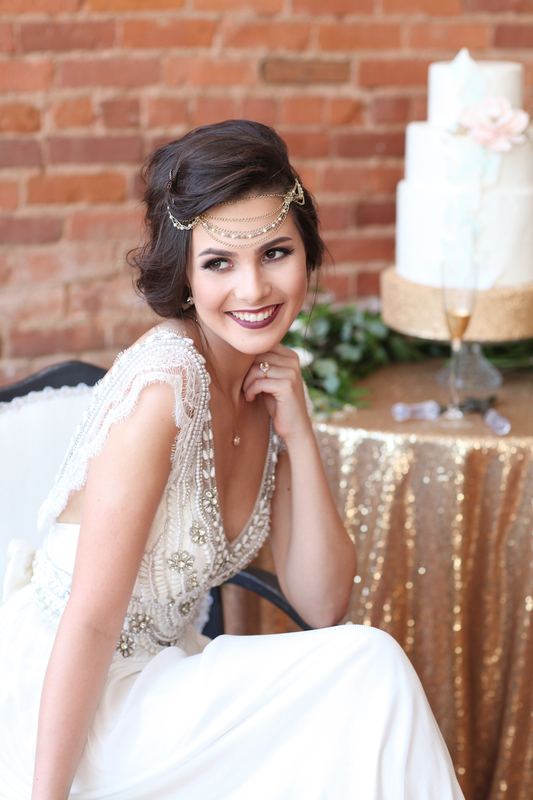 Brides who love the idea of a colored dress, consider talking with a custom makeup designer who can make the perfect hues that will compliment both your dress and skin tone. 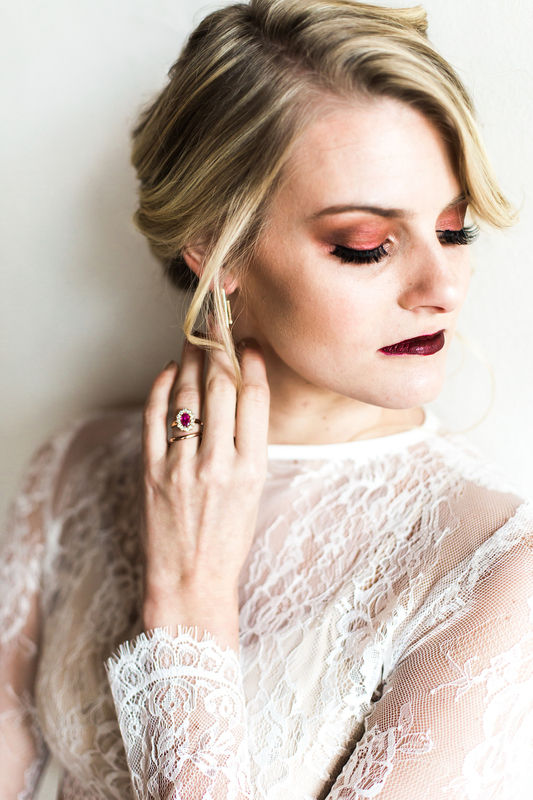 We loved the eye shadow crafted by Love Thistle paired with a bold red lip that tied in the raspberry dip-dyed skirt. 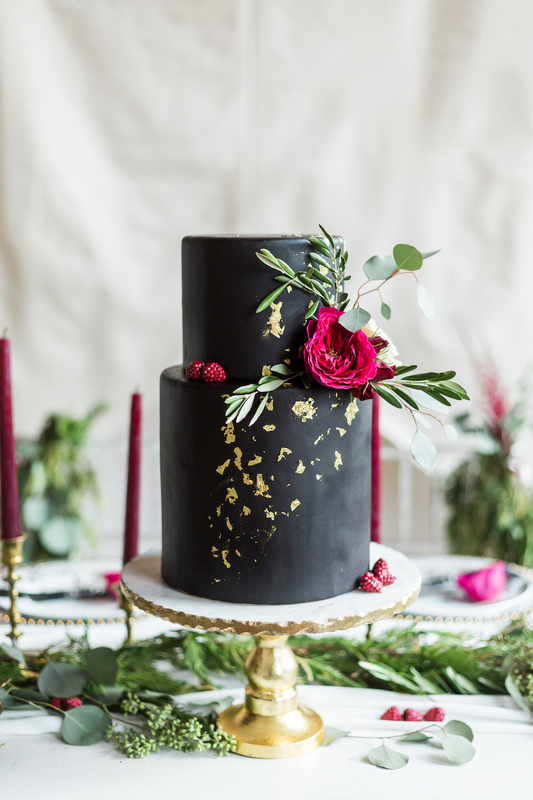 If you love the idea of black iced cakes and cookies, but don’t love the idea of it staining guests’ teeth, talk to your baker. It’s better to start with black icing and add just a little food coloring (versus starting with vanilla and adding a lot of coloring). 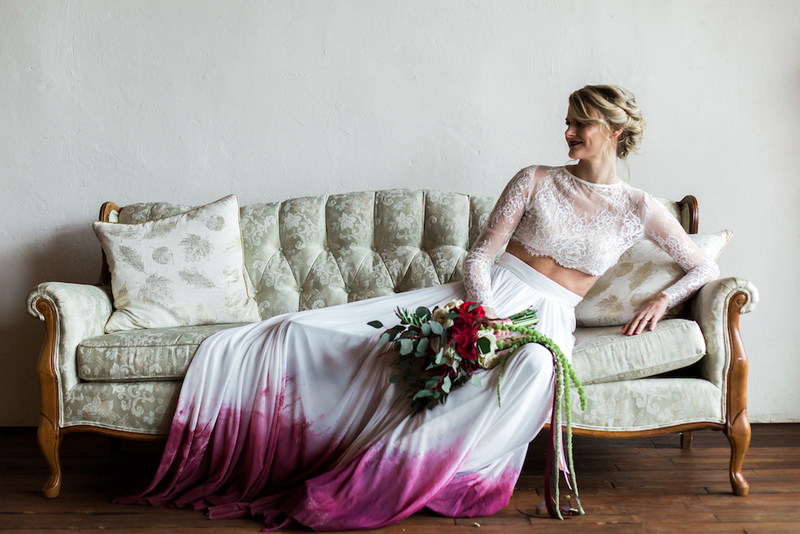 You can check our this gorgeous wedding shoot featured on Wedding Chicks. 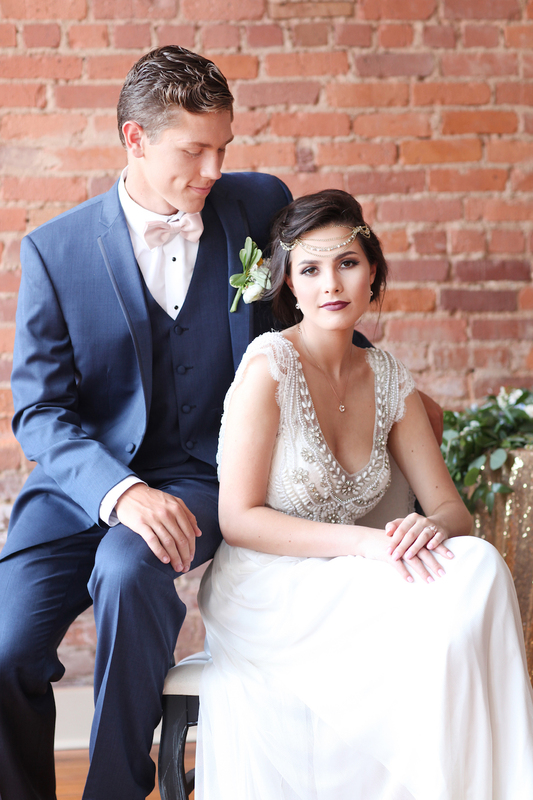 At our vintage industrial + parlor venue, we know that every bride wants gorgeous wedding photos! And we want them to love every single photo! 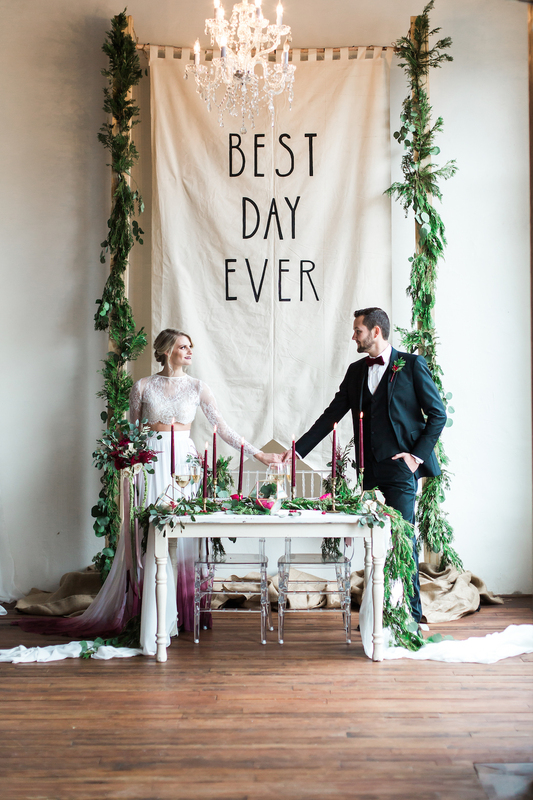 After the wedding, all the couple is left with (beyond wonderful memories) are their amazing wedding photos. 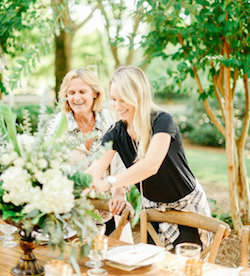 Our dear vendor friend Carrie, of Carrie Reagan Photography, is sharing a few tips to ensure you get the wedding photos of your dreams! 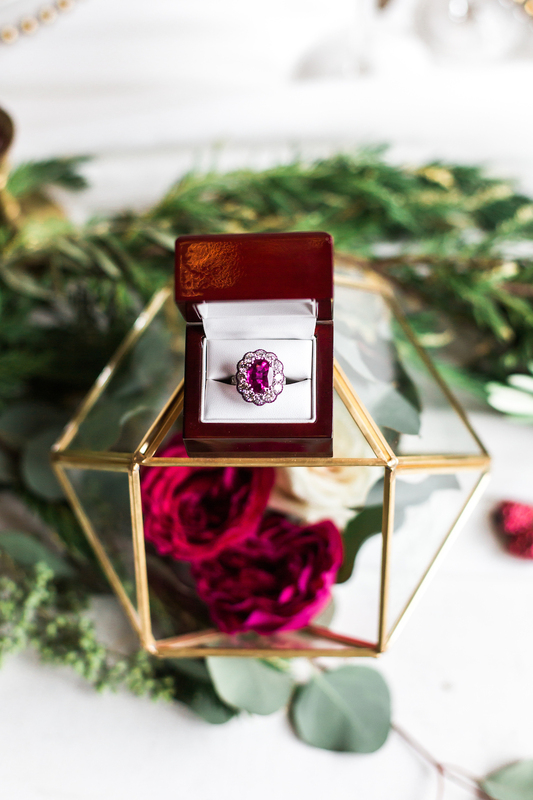 While every photographer has their own style, the ultimate goal is to beautifully capture your wedding day and get all the shots that you envisioned! Don’t be afraid to tell your photographer if there’s a special shot or idea that you want. After all, this is all for you to remember your special day! If you’re on Pinterest (and who isn’t? ), share your wedding board with your photographer. 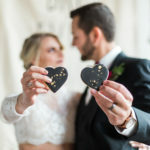 Even if you don’t have a “must take” photo list of images, this will help give your photographer insight into your wedding style! 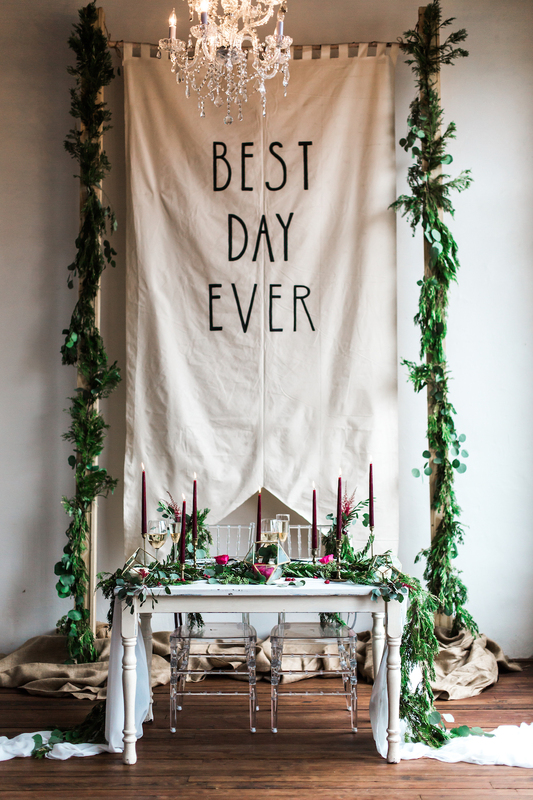 You’ve spent months planning and preparing every little detail of this day. You put thought into every little decision, from your shoes to the invitation. So why not have beautiful photos of these details? 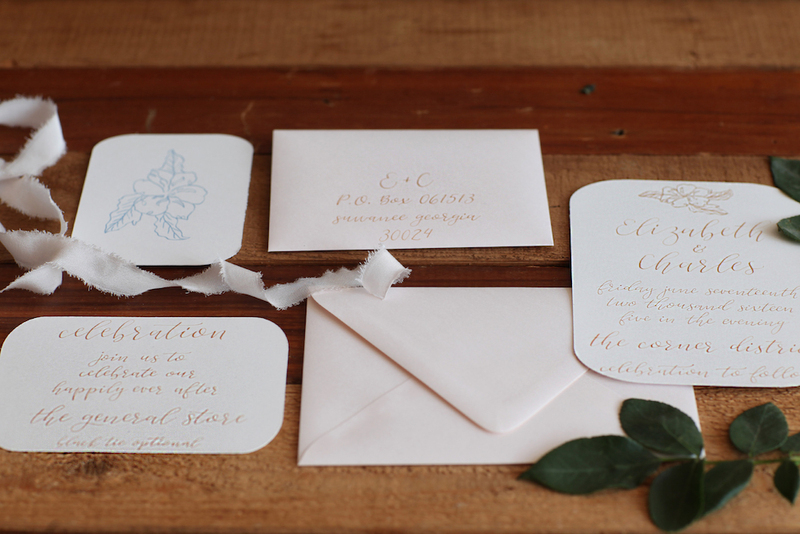 Finishing touches like writing your vows on pretty card stock instead of on crumpled notebook paper really makes a difference. Another quick tip, make sure simple things like clothing and shoe boxes aren’t scattered over the dressing room for the getting ready photos. 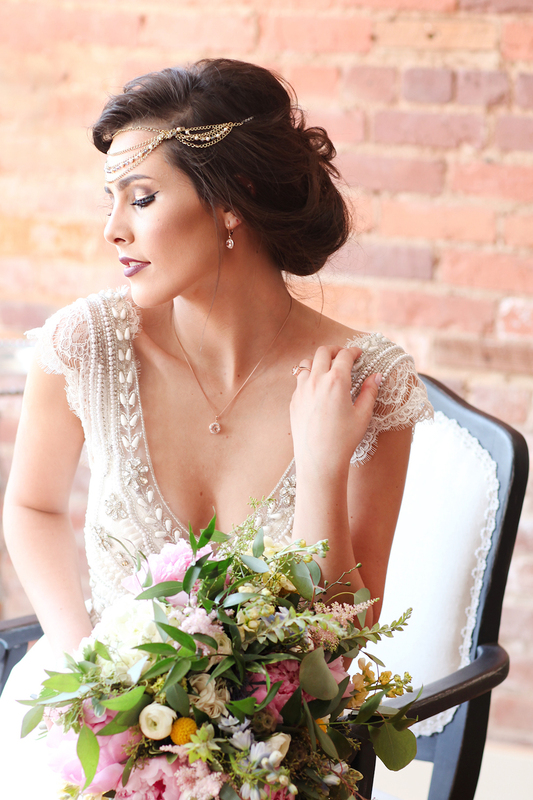 Whether you are a traditional or modern bride, first look photos are always a great idea. 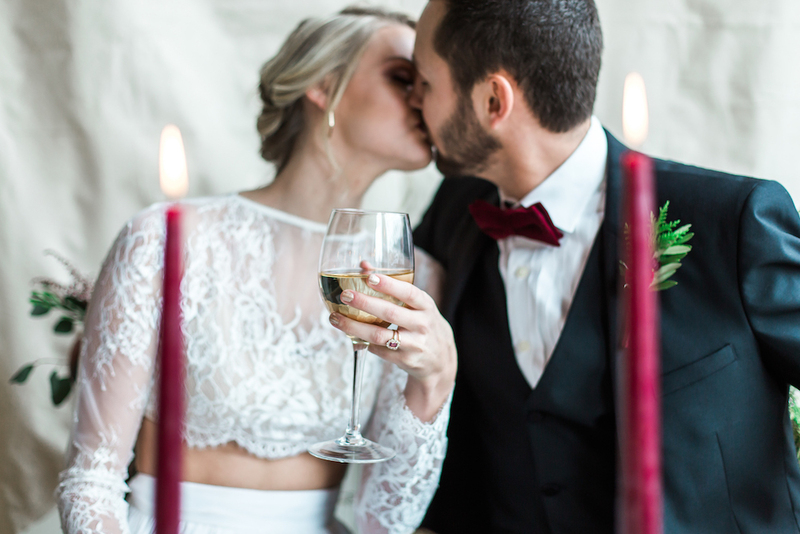 It’s no longer considered bad luck to see each other before you walk down the aisle, and there are pretty big perks that go with it. 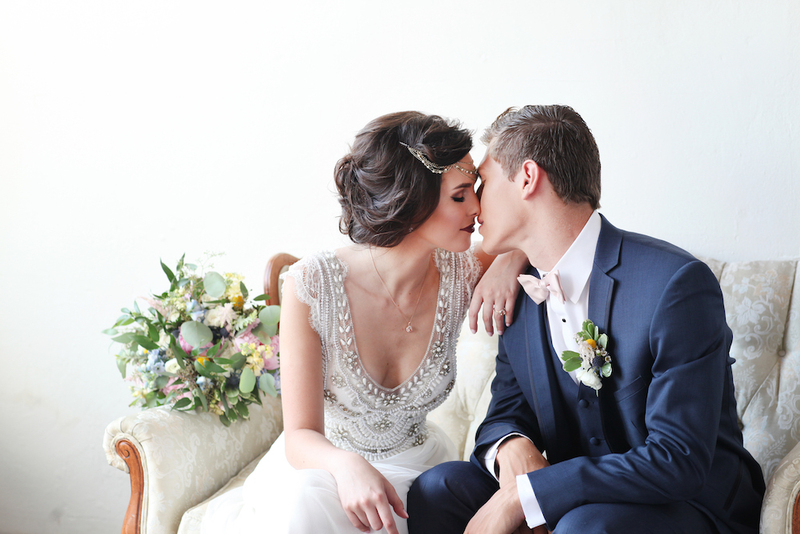 It gives you a chance to have a private moment before the ceremony that can ease your nerves. 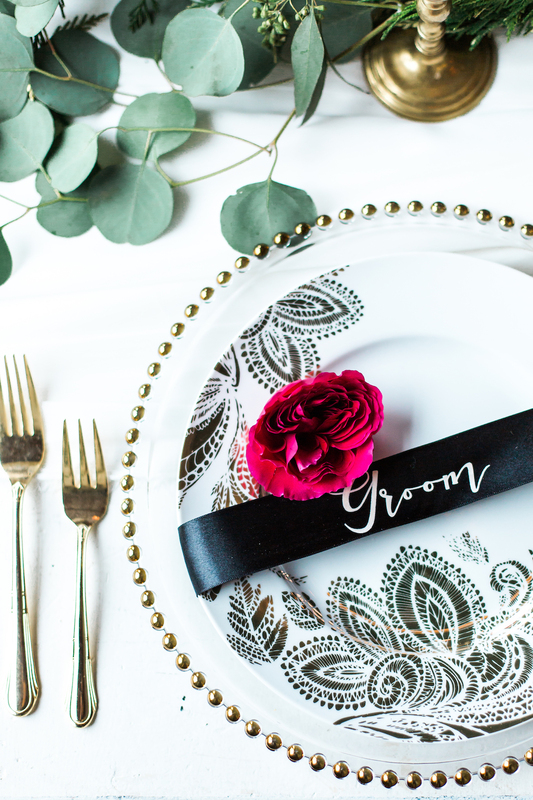 Plus, it gives you more time for your wedding photos, allowing you to enjoy your ceremony and reception and ensuring you get all the photos you want! 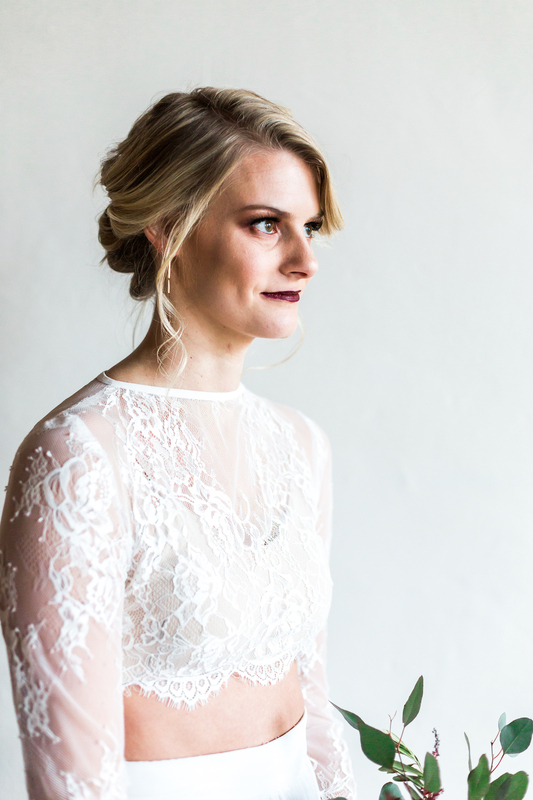 If you decide to not do first look photos, know that the bulk of your styled photos can be taken before the ceremony. Aside from the getting ready photos, it’s nice to get as many photos as time allows before your ceremony. You will be thankful you did! 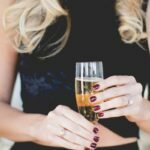 Taking photos of bridesmaids, groomsmen, and any family portraits before the ceremony leave you more time to actually enjoy the day you’ve spent so much time planning for. Make sure to plan your time accordingly. Leave yourself some time for touch-ups before the ceremony. If your photography contract doesn’t include coverage for your entire day, make sure you make the most of it. 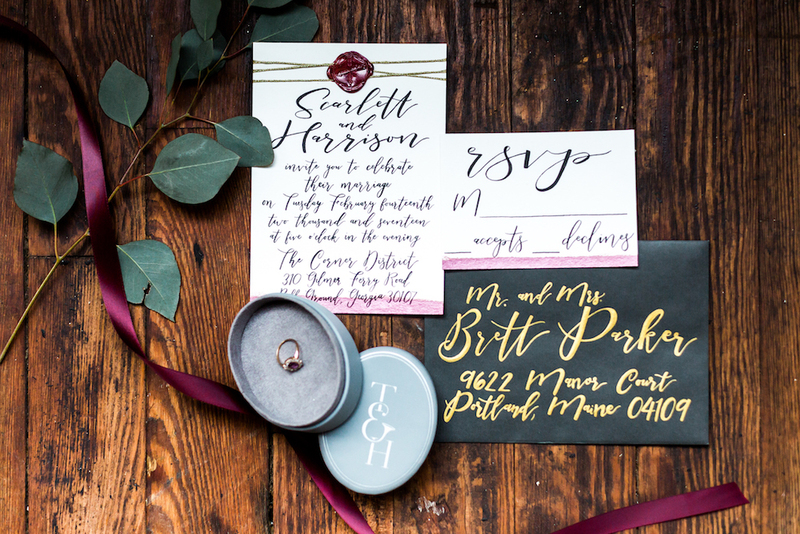 Chances are your photographer will be there for at least a portion of your reception. Speak to your coordinator or DJ and have all the main events of your reception scheduled within the first hour. 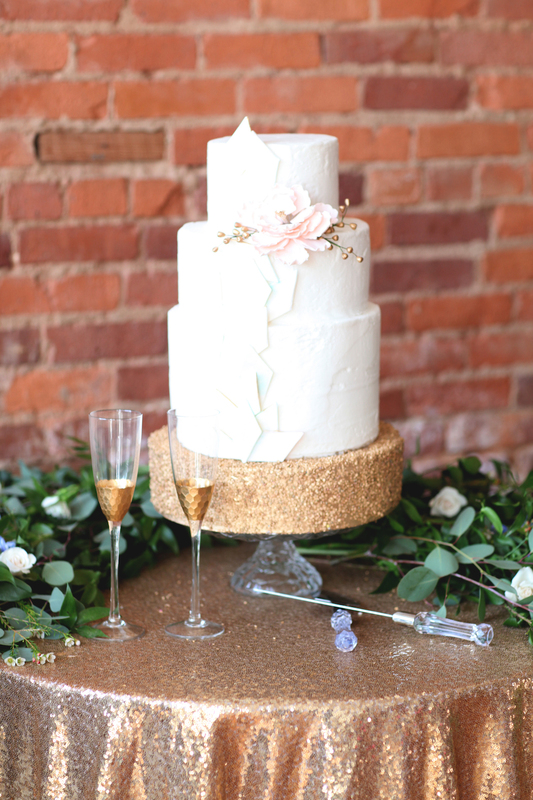 While most couples go into the first dance after they are announced at the reception, you can follow this with special dances, toasts and cake cutting. 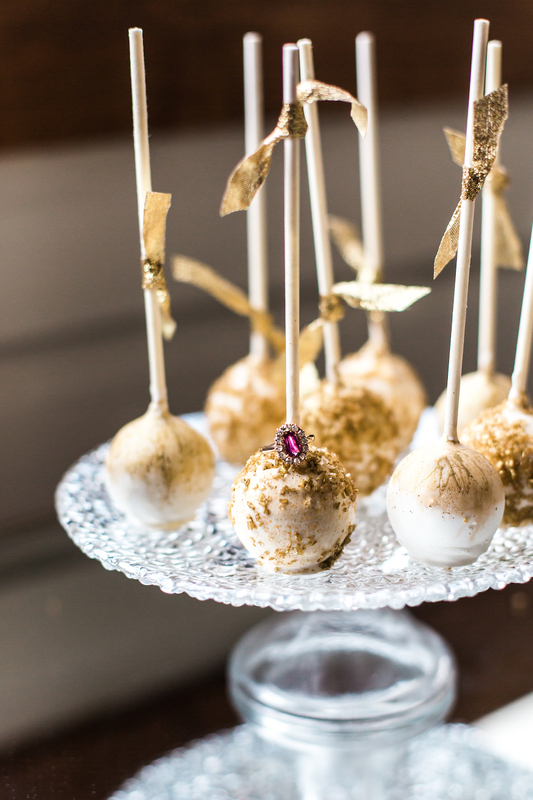 This way you + your guests are free to party the night away without strict timelines. It’s also not uncommon to do a photo send-off well before the night is over. It’s a great way to get the most out of your wedding photographer and capture all the big moments from your day. As a North Georgia venue, the beautiful scenery always makes for some amazing photo opportunities. 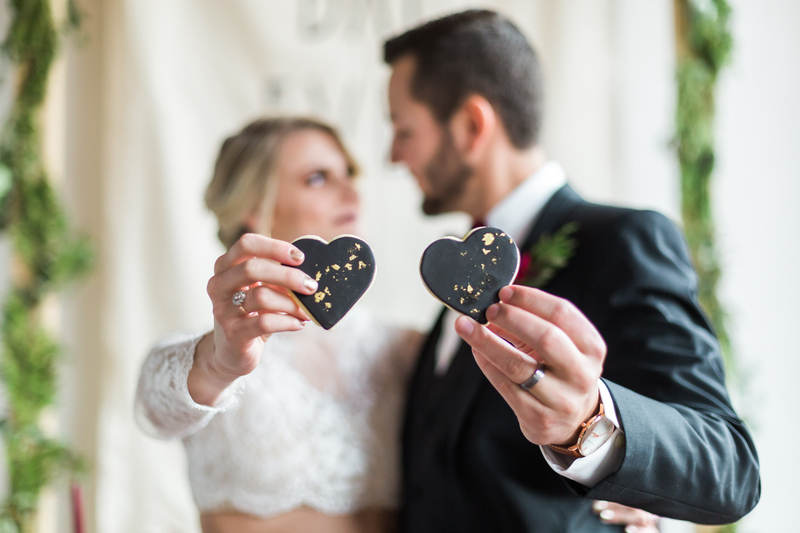 We cannot get enough of gorgeous wedding photos, and we love to see couples swooning over the photos from their special day! 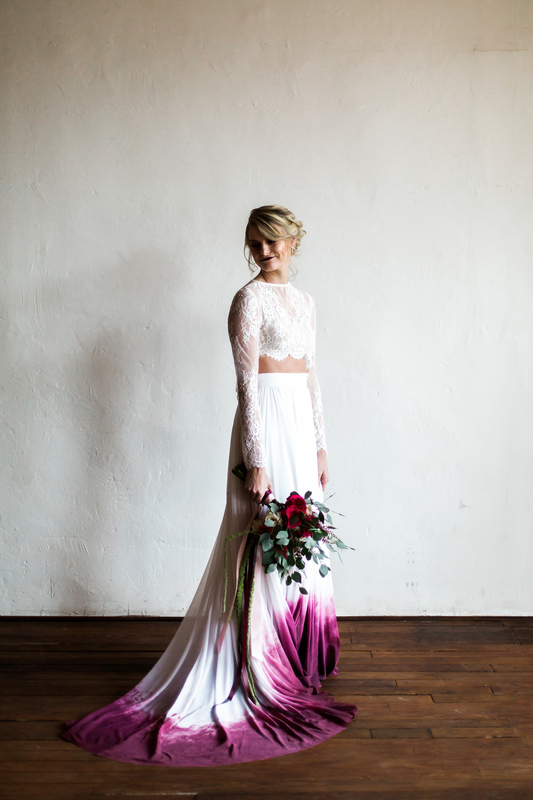 Photographers, do you have any tips for getting the wedding photos of your dreams?